UT National Forensic Academy will be hosting our biennial Forensic Symposium with 16 hours of training credit available, December 4-6, 2019 in Knoxville, TN. Knoxville is home to where the NFA started. With the recent additions to our facilities we want to invite you to not only attend great training but have an opportunity to tour these great newer facilities! Tours will start Wednesday afternoon from 1pm – 5pm and you must sign-up (SIGN UP HERE) to attend the tours. Transportation will be provided. This training is available to all NFA Alumni, law enforcement, forensic technicians, detectives, and medicolegal investigators/examiners. We will also be celebrating 50 sessions of the NFA! *Please note that the conference is not on-site at the Hilton and will be off-site. 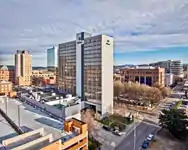 LEIC is providing transportation from the Hilton hotel daily to and from the conference. If you stay at a different hotel you will need to meet at the Hilton hotel for transportation. The UT National Forensic Academy will be hosting their Training Symposium December 4-6, 2019 in Knoxville, TN. We continue to remain innovative and forward thinking. 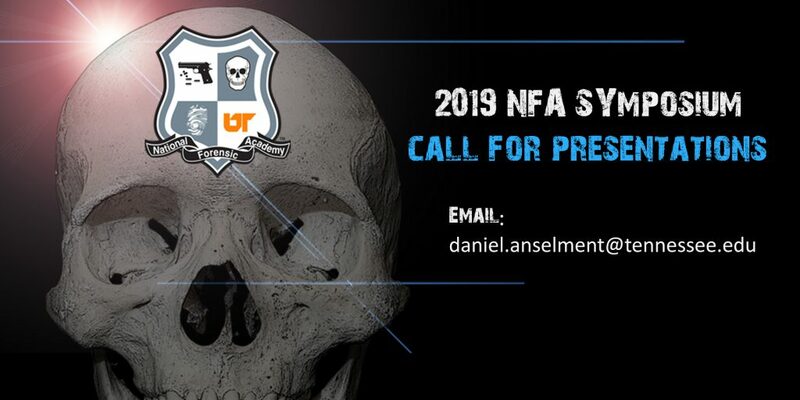 If you have a presentation that you feel would benefit our NFA Alumni and other forensic professionals please submit your proposal’s via email to: daniel.anselment@tennessee.edu. We are also adding several 1 hour case presentation slots. Bring a Cold Case or interesting case that you think our attendees will learn from. We will be accepting proposals through May 31, 2019. If you are selected, presenters will receive a waived registration fee to attend the symposium. If you are interested in being a vendor please email: daniel.anselment@tennessee.edu to inquire.